Kitchen Cabinets Seattle | Local Pages | Merit Kitchens Ltd. If you’re contemplating installing new kitchen cabinets in your home, you’re likely going to have a lot of questions. What type of material do you want to use? Is there a specific theme that resonates more than others? What finish are you considering? Are you leaning towards a certain door style? Finding a company who will not only help you find answers to these and other questions, but manufactures the finest quality kitchen cabinets Seattle can offer, will allow your project to flow smoothly and successfully. Look no further than Merit Kitchens. When we were established in 1971, we were a small cabinet manufacturer. Since then, our company has grown to comprise talented tradespeople, craftspeople, technical specialists and customer service representatives. Our team is driven by innovation, striving to create new kitchen and bathroom ideas, improvements and styles. Our products are now sought out all over North America, Asia and Central America. 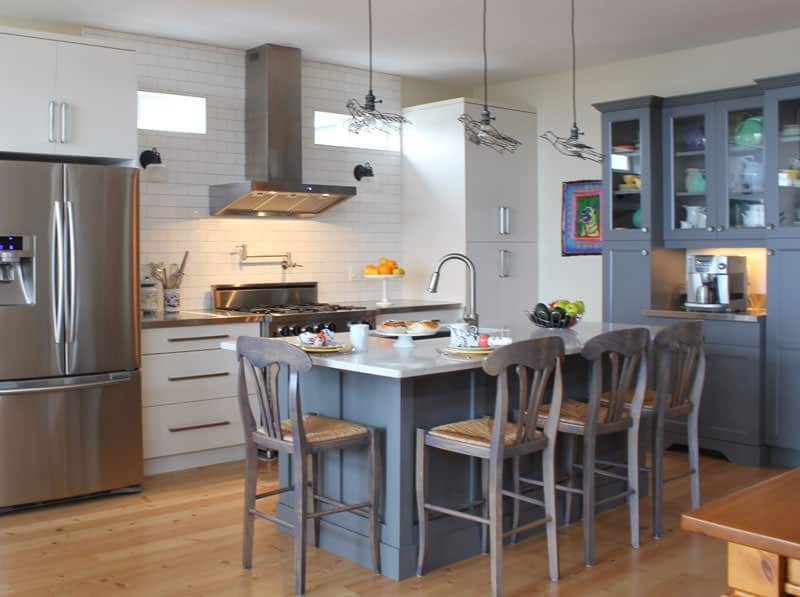 We can proudly say that we build some of the most spectacular kitchen cabinets in Seattle. Our cabinet styles range from traditional to contemporary. View our catalogue now and find the perfect style for your household. Don’t see something you like? Have you created a better concept? We can build it! Send us your custom cabinet ideas and we’ll take care of the details! We use only premium, environmentally friendly materials, truly making our kitchen cabinets Seattle’s finest. We offer an extensive selection of cabinetry that caters to a variety of budgets! All of our products include a limited lifetime warranty.